(WASHINGTON)—Matthew J. Jeanneret has been named executive vice president and chief operating officer of the Washington, D.C.-based American Road & Transportation Builders Association (ARTBA), effective Nov. 1. Jeanneret, who joined ARTBA in 1998 as director of public affairs, has been serving as the association’s deputy chief operating officer since January. 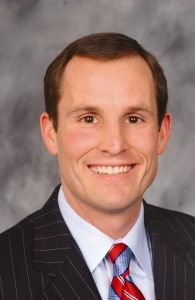 As ARTBA’s senior vice president of communications and marketing over the past decade, he led its award-winning external communications initiatives aimed at building political support for increased transportation infrastructure investment in the past four federal highway and transit program authorization laws. Since 2005, Jeanneret has also served as the ARTBA Transportation Development Foundation’s (TDF) executive director. In this role, he raised more than a half-million dollars for the Lanford Family Highway Worker Memorial Scholarship Program, which helps the children of those killed or permanently injured on the job attend college. He played a key role in the development and 2016 launch of the TDF’s “Safety Certification for Transportation Project ProfessionalsTM” program, which was accredited by the American National Standards Institute earlier this year. Jeanneret earned the Certified Association Executive (CAE) designation in 2005 from the American Society of Association Executives (ASAE), a credential held only by five percent of those in the field. He is a 2009 graduate of the U.S. Chamber of Commerce’s Institute for Organization Management (IOM), a four-year non-profit leadership program. From 1994-1996, Jeanneret served as the chief media spokesman for two state agencies in Massachusetts Governor William Weld’s administration. In 1992, he received a presidential appointment to serve as a spokesman for the U.S. Department of Justice in the administration of George H.W. Bush. He began his career in 1989 as a legislative aide to now retired U.S. Senator Alan K. Simpson (R-Wyo.). Jeanneret’ s significant volunteer work includes service with the ASAE Foundation’s Development Committee (2014-17), ASAE 2020 Centennial Research Initiative Task Force (2016-present), and Our Lady of Good Counsel High School’s (Olney, Md.) Board of Directors (2013-2016) and Advancement Committee (2010-present). He is a native of the Metropolitan Washington area and has a B.A. from Boston College and an M.A. from The George Washington University in Washington, D.C. He and his wife, Elizabeth, reside in Arlington, Va. Established in 1902, ARTBA represents the U.S. transportation construction industry before Congress, the White House, federal agencies, the courts, news media and general public. 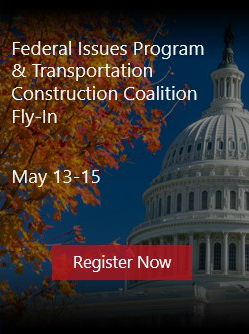 Safety, Transportation Project Management & Legal Issues at Forefront of Professional Development Week June 4-6 in D.C.
ARTBA is a non-partisan federation whose primary goal is to aggressively grow and protect transportation infrastructure investment to meet the public and business demand for safe and efficient travel. In support of this mission, ARTBA also provides programs and services designed to give its public and private sector members a global competitive edge.